Urgent – 9:01 pm on 4/24 will be too late! Watch the above Video here! Pro-choice candidate Assemblywoman Shelley Mayer has spent her professional career and private life battling for women to have unimpeded access to comprehensive healthcare including abortion and contraception. Shelley supports the Reproductive Health Act and the Comprehensive Contraceptive Coverage Act, and has voted for the passage of both. She has proven herself time and again to be a leader for women and families. 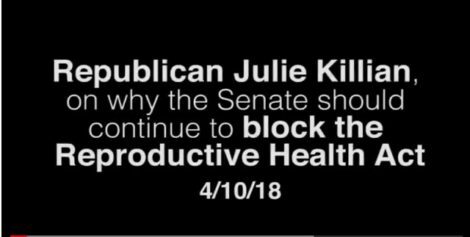 In Sharp Contrast, Shelley’s opponent, Julie Killian, is the poster-child candidate for Trump and his anti-women/anti-choice extremist agenda. Killian does not support women. She does not support Choice, and her right-wing ideology most definitely does not represent the women of New York. This Special Election goes far beyond a battle between pro-choice candidates and anti-choice ones. It goes to the fate of reproductive healthcare in the State of New York. 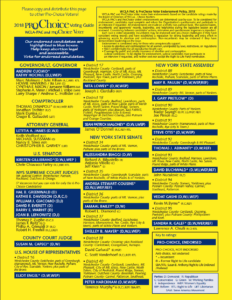 *If you reside in any one of the towns, villages or cities listed above, you will find one or both pro-choice candidates Shelley Mayer (for Senate) & Terry Clements (for Westchester County Legislature) on your ballot. Their opponents are both anti-choice and will advance Trump’s attack on women!